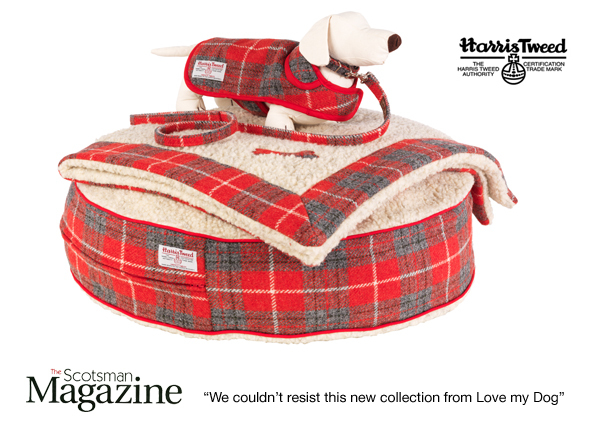 Spoil your pooch with brand new Red Tartan Harris Tweed collection from Love My Dog. Featuring a dog collar, dog lead, dog coat, dog blanket and a dog bed the new range is the work of Creative Director Lilly Shahravesh. The Love My Dog Red Tartan Harris Tweed cloth is a new and exclusive tartan design. It’s 100% authentic, and woven in the Hebridean Islands by weavers who have passed their skills down from generation to generation. All items in the new collection are then hand finished in Love My Dog’s London studio. 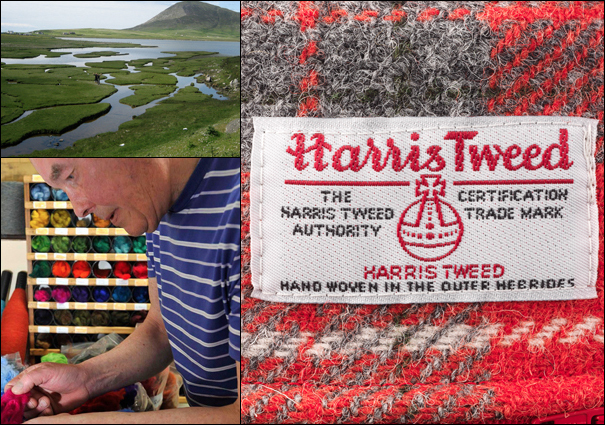 “When I first learnt about the process of genuine Harris Tweed and what it actually entailed I was amazed. There is a fantastic history and heritage of this cloth and I realised how important it was to support and celebrate this. Its great to respect that process and produce a handmade collection of such a high standard and quality” Lilly Shahravesh, Creative Director of Love My Dog. The collar and lead both comprise of sturdy saddlery fittings and the collar is backed with washable suede for your dog’s comfort. For the ultimate luxury, the Red Tartan Harris Tweed bed uses a hollow fibre filling to ensure happy dog dream’s (whilst the cover and inner seperate to make life easy for you when it comes to cleaning). 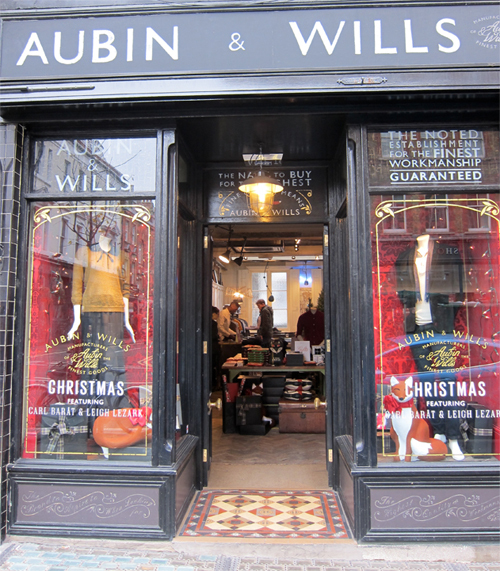 All items are available to purchase through the online shop.